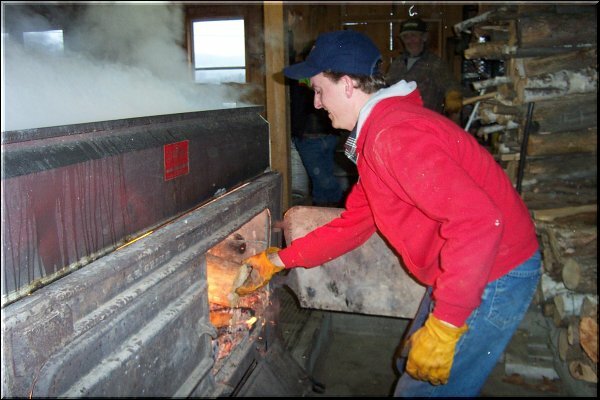 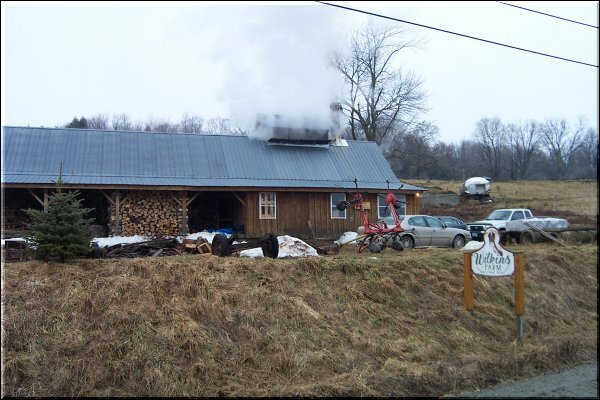 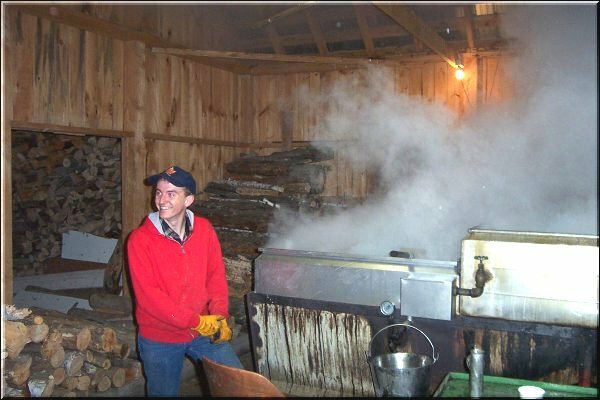 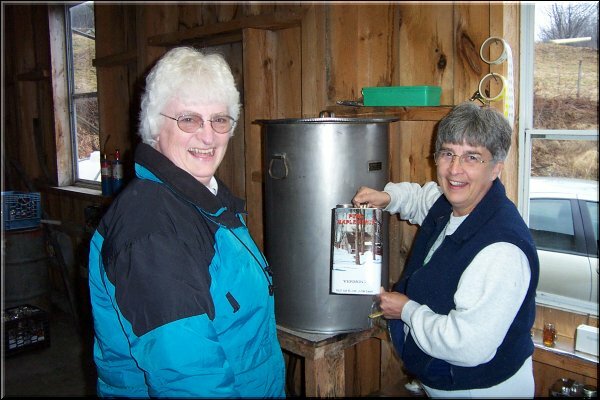 According to Scott Wilkins, "Sugaring for us is a total family effort, Wayne and Sally Sweet, Jim and Laura Woodward, My Dad, Rob Wilkins and my stepmother Sheryl, as well as my brother Stuart, Jim and Laura's son Brian Woodward and my wife Melody all play a huge part in a successful sugaring year for the Wilkins." 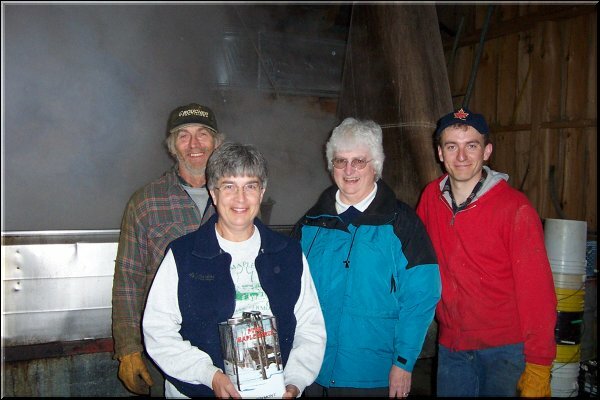 Scott was a very busy young man and except for the one momentarily posed photo with the family, he was on the move. 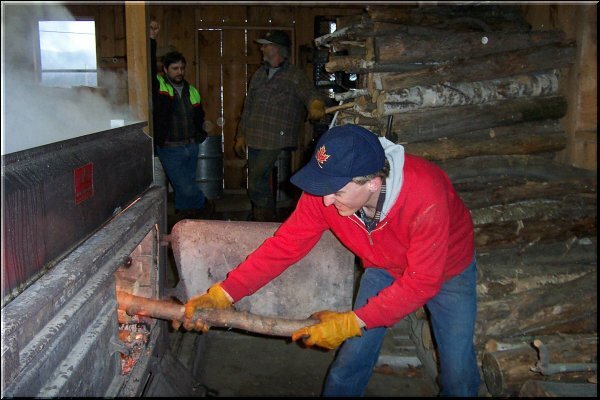 Sally's husband Wayne and Laura's husband Jim were just enjoying the sugar house after a morning of gathering sap.